St. Bernabe hospital was created in the XI century. From the beginning, a lot of kings, gentelmen and bishops gave money to keep the hospital working. Nowadays, the hospital is a retirement home. There are paintings and plastering works from the XVII century next to the main door. In the building, you can find a museum dedicated to old hospitals and pharmacies. There is a chapel dedicated to Saint Bernabe, Saint Antolin and Saint Telmo, with pictures from the XVIII century. 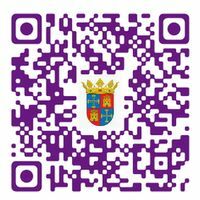 Scan the following QR code with your smartphone to download the audio guide.